When it comes to scaffolding for listed buildings it is very important to take great care and attention to detail. Some buildings across areas like Plymouth, Exeter and Taunton, where we carry out much of our work, are hundreds of years old and due to their age, are in need of regular repair and maintenance to protect them from the elements and ensure that they remain in tact. Take a church for example, due to its sheer size and structure, it can be very hard to access the church tower, the steeple or other hard to reach places. The only way to repair and maintain these buildings is via access from a large scaffolding structure. Repair and maintenance work on any listed building that alters it in anyway requires planning permission. This is the responsibility of the main contractors who need to seek the permission before commencing any work. The scaffolding of such a project can only be erected once the permission has been granted. While some older, protected buildings are sturdier than others, some are often too delicate and fragile to affix a scaffolding structure to. It is no good starting work to repair and maintain if this work is going to cause any amount of damage. 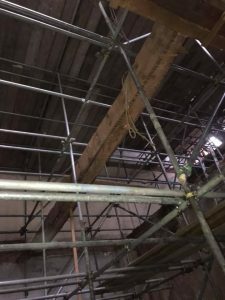 In this instance it is critical for the scaffolding company to carry out a full assessment to check the viability of a standard wall fixed scaffold structure and if ground fixings are needed as an alternative. Only once a thorough visual inspection of the site has been completed, can a scaffold plan be devised. 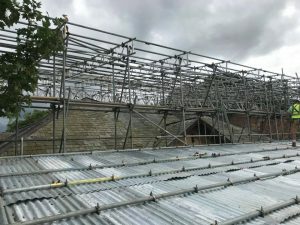 Our team understand the delicate nature of scaffolding for listed buildings and carry out their work carefully and diligently. They only start the work once a thorough inspection and site survey has been carried out and a scaffolding plan devised. Once this is done the team can get to work constructing the scaffold ready for the contractors to carry out their delicate and important work. At Drake Scaffolding we have been trusted with many such projects and pride ourselves on the care and attention that our team pay to their work. 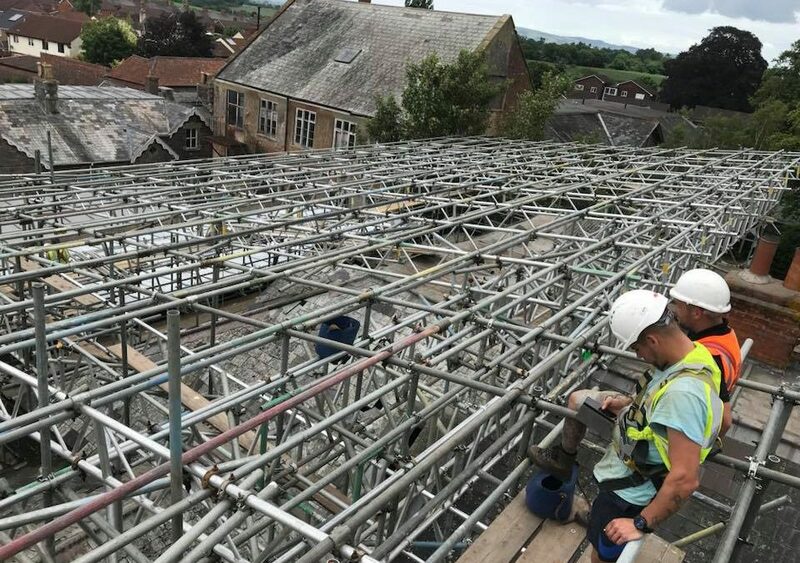 If you have any queries or questions about a listed building scaffolding project in the Plymouth or Exeter areas and surrounds, please do not hesitate to contact us on 01752 719515.